And so it was that following a rather boozy Maundy Thursday session in Bianco43 one intrepid Radical found himself, complete with a brace of parents, spending Easter Saturday in Tziganos (@Tziganos). Yes, it’s a hard life but someone has to do it. And then write about it. First thing to say: the atmosphere in Tziganos is fantastic. 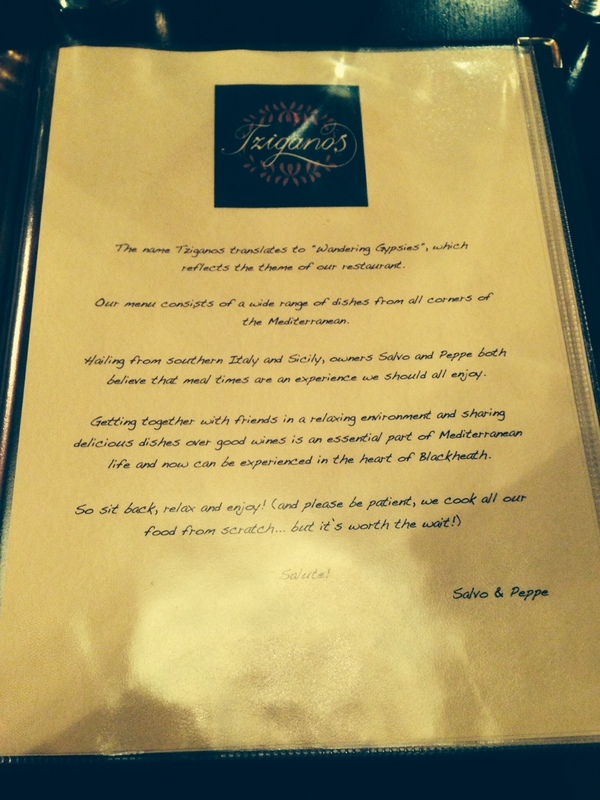 Salvo and Peppe, the owners, set the tone both on paper (see the menu) and in the restaurant itself. And for once the hype and the reality matched up to each other. The pacing between courses was spot-on with plenty of time to relax and enjoy the company without getting peckish (or bored – quite easy when parents are involved). 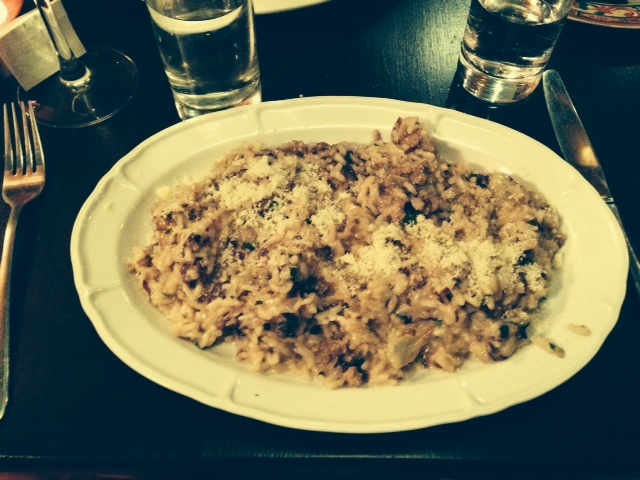 Your Radical went for the risoto di carne which was as creamy and unctuous as you could hope and there was plenty of it (a good thing given the level of food snatching going on). 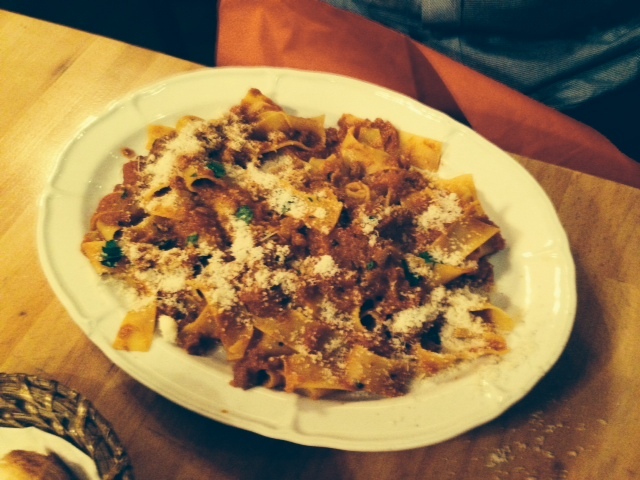 Papa went for the wild boar ragu (pappardelle al cingbiale) and Mama for the sea-bass. The latter, especially, was a real hit. 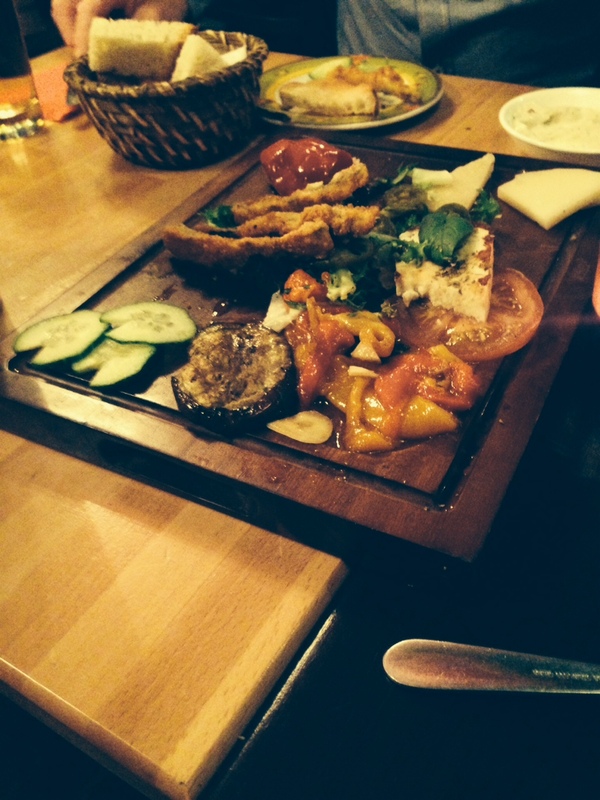 Each of the dishes was fresh, generous and – importantly – authentic. Fond memories of Sicily and Naples were brought to mind and that’s no mean achievement. And, like the best restaurants in those places, it’s now possible to head next door and buy some of the ingredients. Perfecto! Now, not wishing to end on a sour note, but there was one disappointing part of the evening. 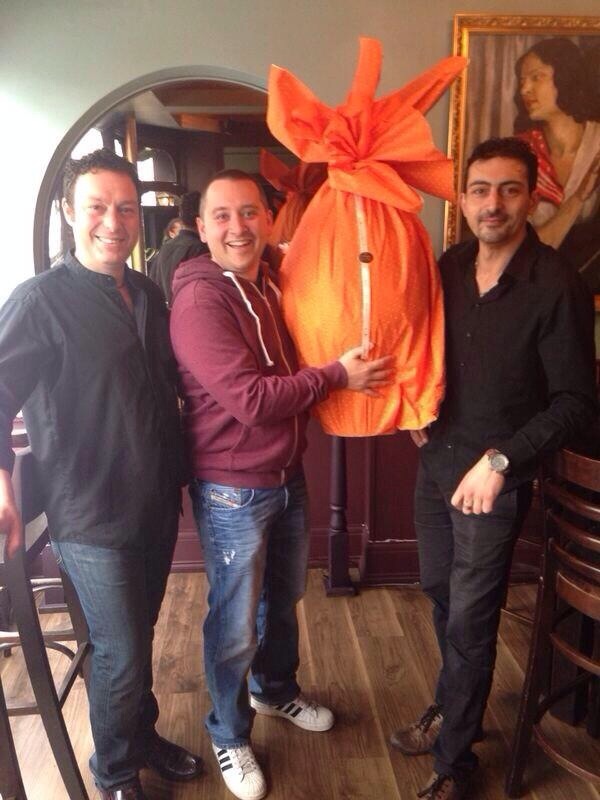 Unbeknown to us we happened to be at Tziganos for something of a ‘village moment’ – the raffling of its (the village’s) largest easter egg. A whopper of an egg in anyone’s books. Which we didn’t win. Grrr. The winner wasn’t there to collect his prize, but seemed rather happy with himself when he did. Eggstatic even? 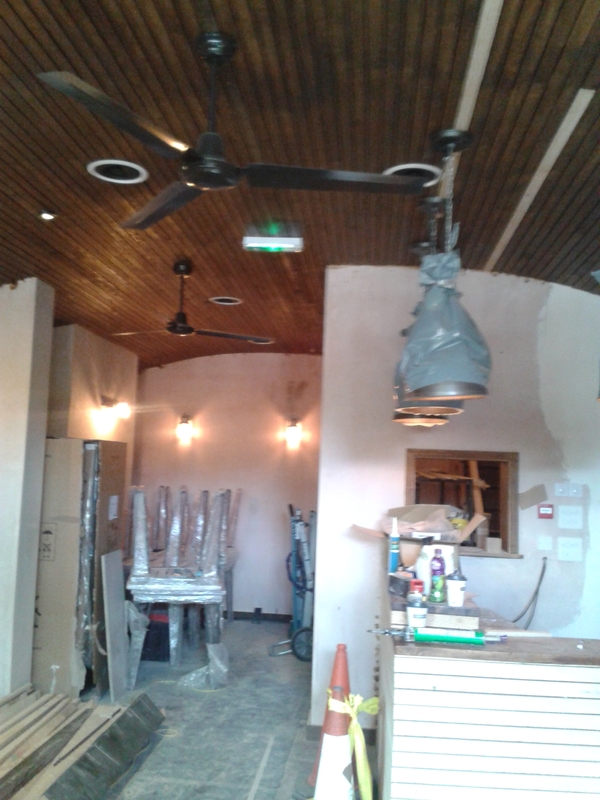 As ever, in the pursuit of the truth we Radicals have secured some exclusive pictures of the interior. The previous post included the Floor Plan and you can start to get an idea of the space and décor. Looking good so far and we can see why JP is confident he’ll open soon after a decision. But what of the wine? Well, the five page provisional wine list has also been obtained by the Radicals. As expected it is predominantly French, with some Italian and Spanish offerings and a nod to the New World too. JP is aiming to emulate the likes of ‘Terroirs’ and the ‘Green Man and French Horn’ and seems on course to succeed! Now, to the Jilly Goolden and Oz Clarke book of excessive descriptions for wine bouquets. As reported in the post on the Blackheath Assembly, part of the Lewisham station redevelopment includes a Premier Inn. The planning permission requires a piece of public art (paid for by the developer) under the railway bridge. 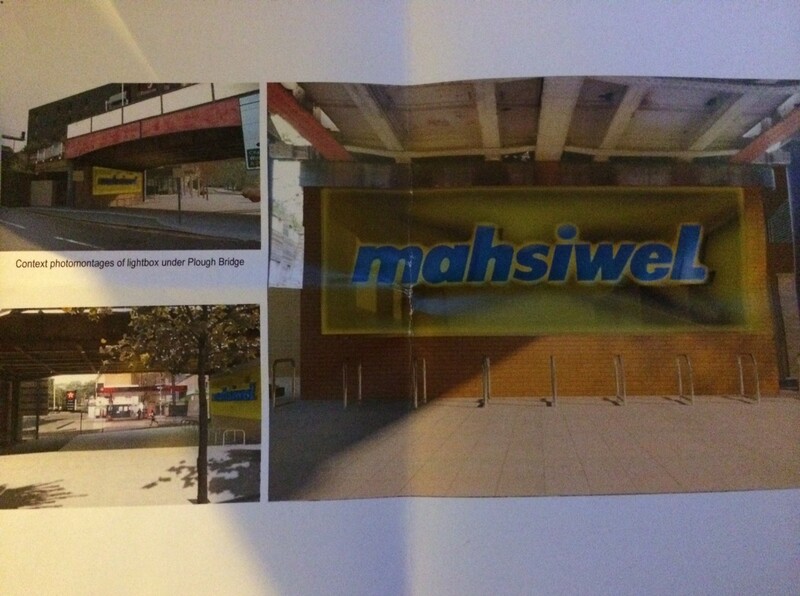 The proposed piece of art (Conceptual Art Proposal) is an LED sign that reads ‘mahsiweL’. What, I hear you ask, is it all about? Well, it is Lewisham spelt backwards! Apparently this reflects the changing ethnic make-up of Lewisham by suggesting different languages and ethnicities. Which ones speak English backwards is unclear. It seems a bit lazy to us and the point may be lost on some. Why not spell Lewisham normally? The requirement was for a “large piece of public art comprising a coloured lightbox” so options are admittedly limited and it will be impossible to please everyone. If it is all a bit neo-dada to you there is an online survey open until 05 May for comments: https://www.surveymonkey.com/s/78B2D6F. It is not obvious what will come from the results but the Council is canvassing opinions. 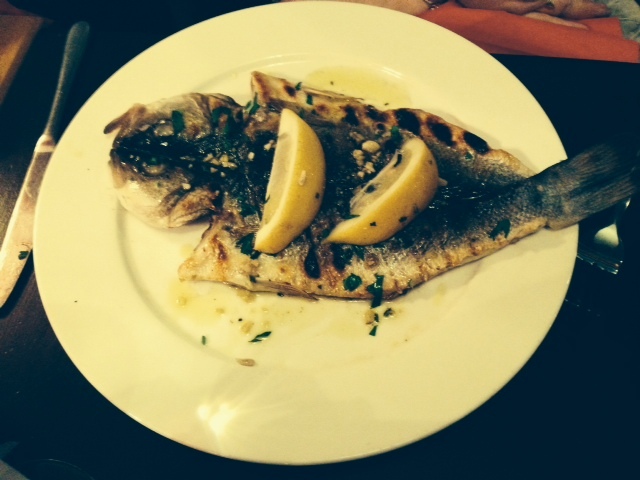 Celebrities come dine with us – Bianco43 review plus Lenny Henry! As we Radicals have noted there are plenty of restaurants to choose from in the village and we will try them out so you don’t have to (erm, is this right? Ed). 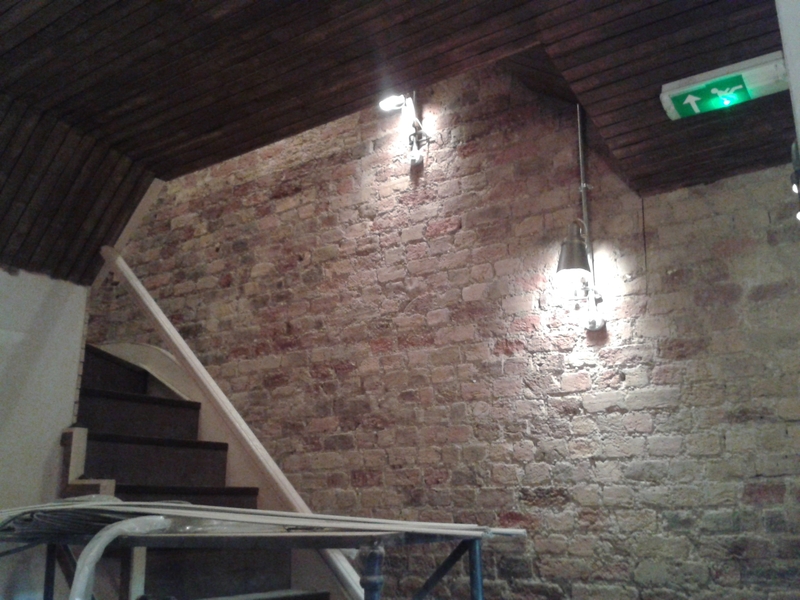 Channelling the spirit of Michael Winner we visited BIANCO43 on 17 April. Opting for a seat near the bar we were impressed by the stonewashed white décor that gave the restaurant a suitably Mediterranean vibe. Add to this a discreet guitar player and it was a very pleasant atmosphere. We had a few recommendations via the twitosphere (@blackheathrev) and A Radical went for the classic fried calamari and courgette. A simple dish done well, not too heavy on the frying but just crispy enough. 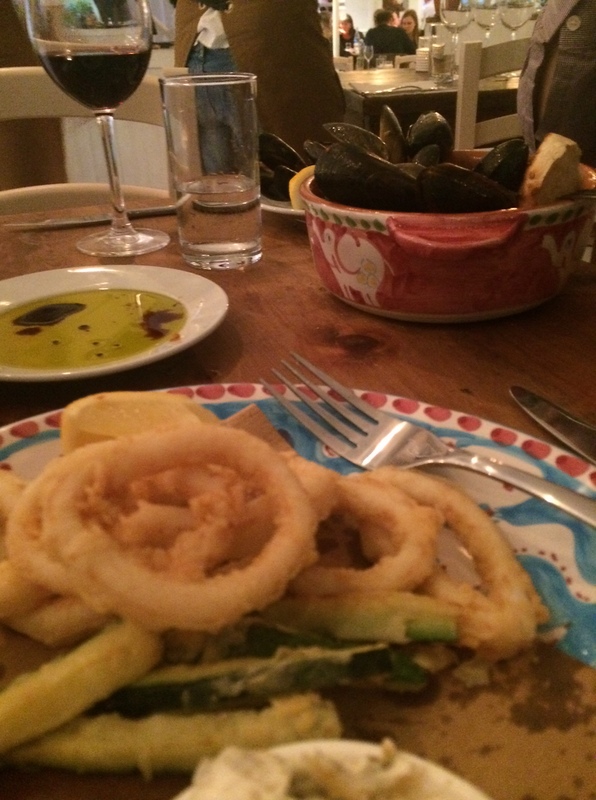 It was light but possibly had a few too many calamari (although A Radical never-the-less polished them off!). B Radical went for a rather large bowl of mussels. Again simple and well done with just the right amount of garlic. We Radicals made a schoolboy error of selecting the wine before food so had a rather nice bottle of Montepulciano on the go and in hindsight a decent crisp white would have gone down nicely (Grecanico looked tempting). On the wine front the bottles were reasonably priced around £20-£30 but you could splash out for something closer to £50. There were a few wines by the glass although a bit pricey and as always it made more sense to go for a bottle, but this did limit our ability to mix and match with the food. There was no feeling of being rushed. 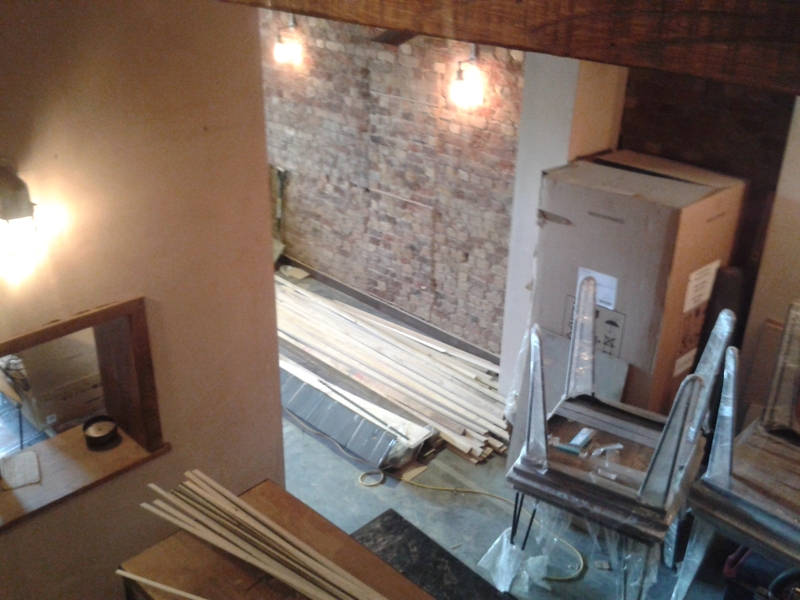 The restaurant was busy although the mezzanine level was not needed. We had plenty of bread to munch on and a decent gap between courses. The staff, we think all proper Italians, were incredibly friendly and knowledgeable – and chattered to each other in Italian which added to the authenticity! Pizza was the order for the main course. A Radical went for the special which had mozzarella, spinach, cherry tomatoes and pepperoni. Sounded interesting and it all worked well together. 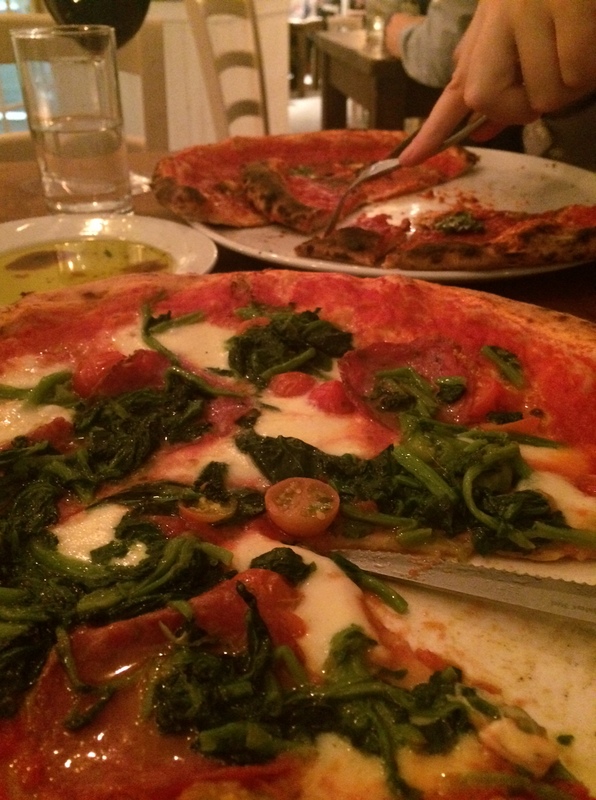 B Radical was filled with the spirit of Napoli and went for a marinara – some would argue the original pizza with just tomato and a bit of garlic – and was suitably satisfied. Both came out of the pizza oven that has pride of place opposite the entrance. 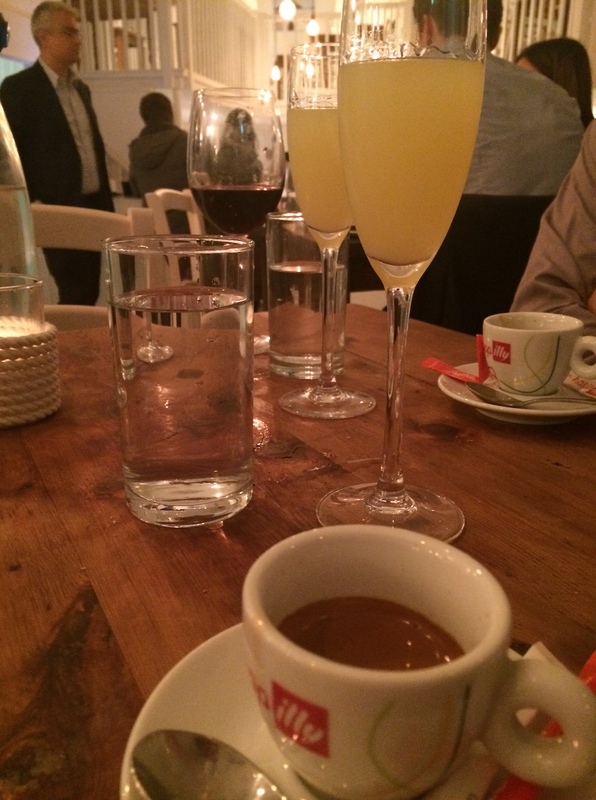 The pizzas were pretty big and we were too full for dessert so went straight for the digestive and espresso. 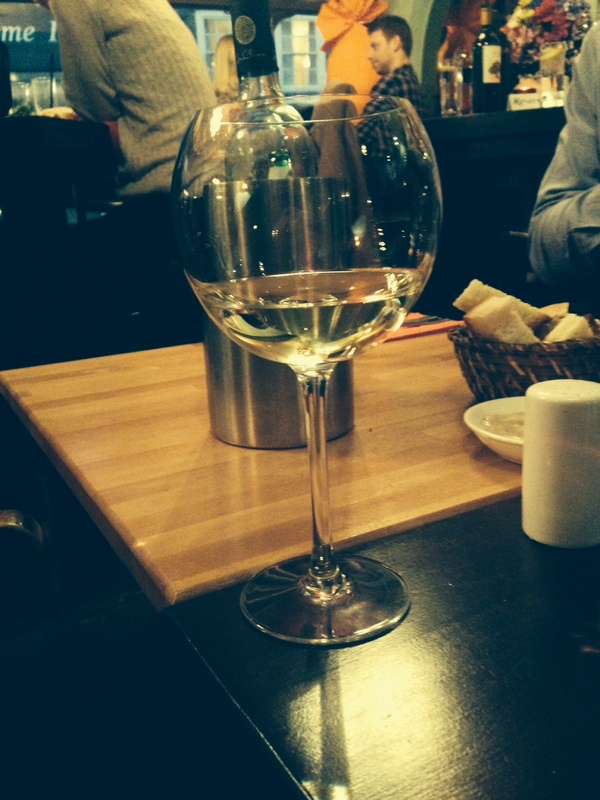 It may have been the size of the limoncello (a champagne flute’s worth! 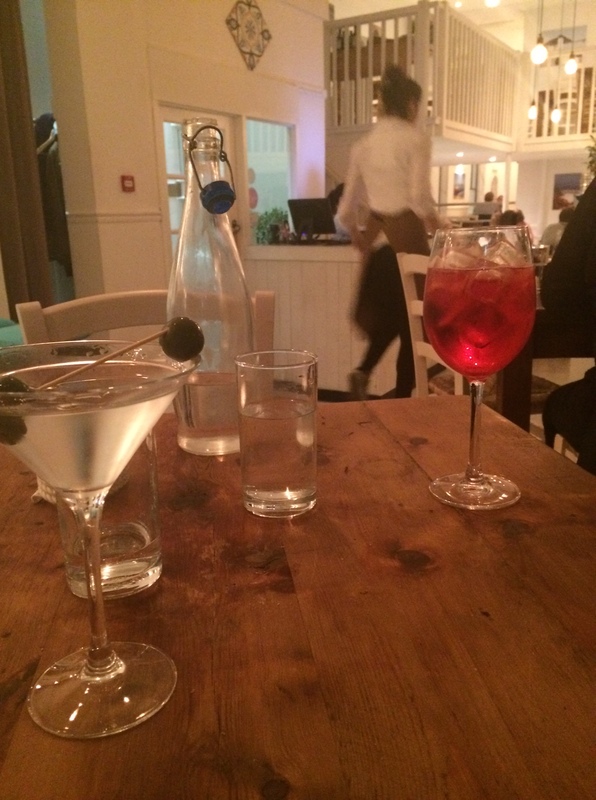 ), the chilled guitar music, or the presence of Lenny Henry (he who sleeps on beds in public places) on the next table but we opted to stay for a cocktail. For the same price as a glass of wine (around £6) we thought they were pretty good value and the vodka martini worked a treat. Channelling the spirit of parents in the 80’s B Radical went for a Campari. That won’t happen again! We Radicals have been approached by at least one person with an enquiry about real ale. It would be a dereliction of our duty to ignore such matters of importance. 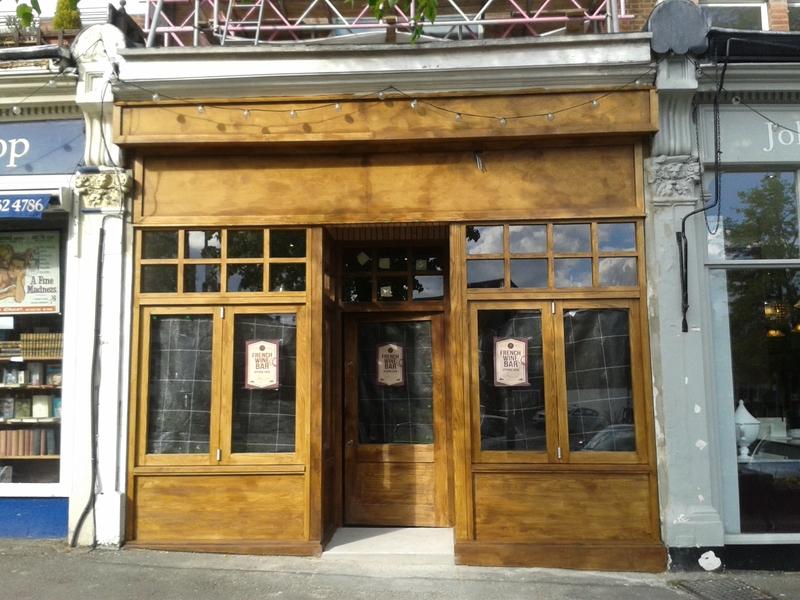 Regular followers will note our general enthusiasm for all things with an alcoholic bent (see our report on the new wine bar). Real ale is one of those causes close to us (and we were drinkers long before it became fashionable!) despite the odd lapse to the fizzy tasteless stuff and one Radical’s weakness for ‘Desperados’. Doing our bit has included many miles travelled to beer festivals across London and beyond and as much as we mock the new trendiness of ale drinkers the recent growth in small, independent breweries is fantastic. Locally we can support both the Meantime Brewery of Greenwich and Hop Stuff of Woolwich. 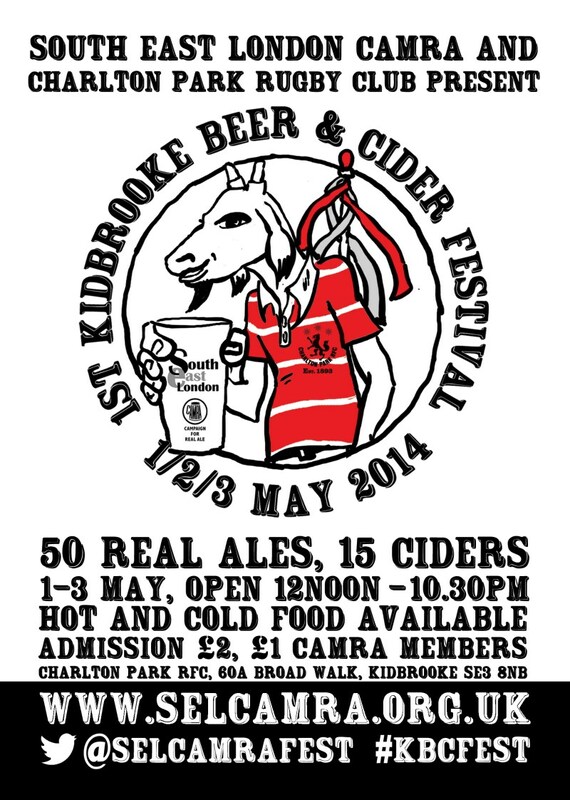 South East CAMRA are holding the 1st Kidbrooke Beer and Cider Festival on 01-03 May at the Charlton Park RFC. Last year the Radicals attended SE CAMRA’s first East Dulwich festival at Dulwich Hamlet FC and are delighted we now have one closer to home. This is a small festival but well worth attending. If you’ve not been to one before don’t think it is just for seasoned ale drinkers. The staff are friendly and helpful (all volunteers) and a selection of 50 ales to choose from will not overwhelm the casual or new ale drinker. If you are lucky there will even be a tombola (this Radical has won many a selection of beer mats!). On our travels to beer festivals we could not help but wonder what a festival in Blackheath would be like. 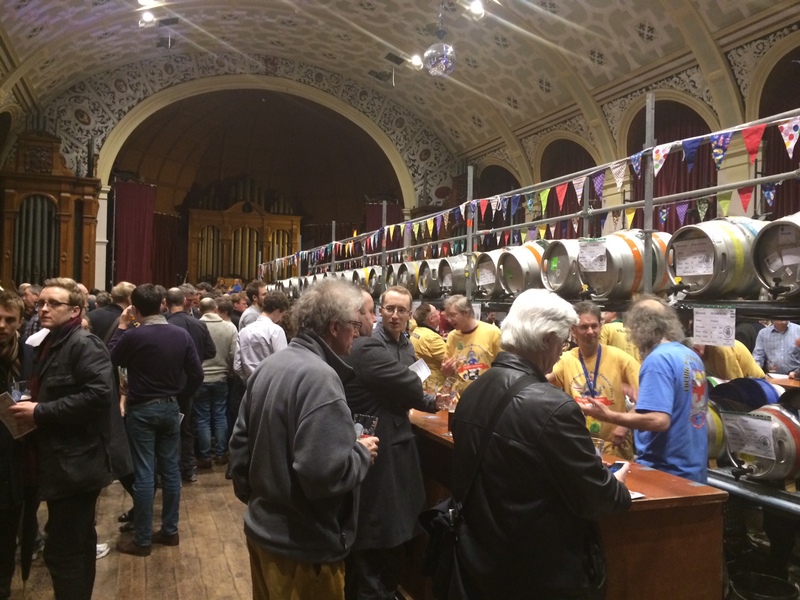 Wandering around and imbibing at Battersea beer festival recently we Radicals were struck by the similarities with our own Halls. 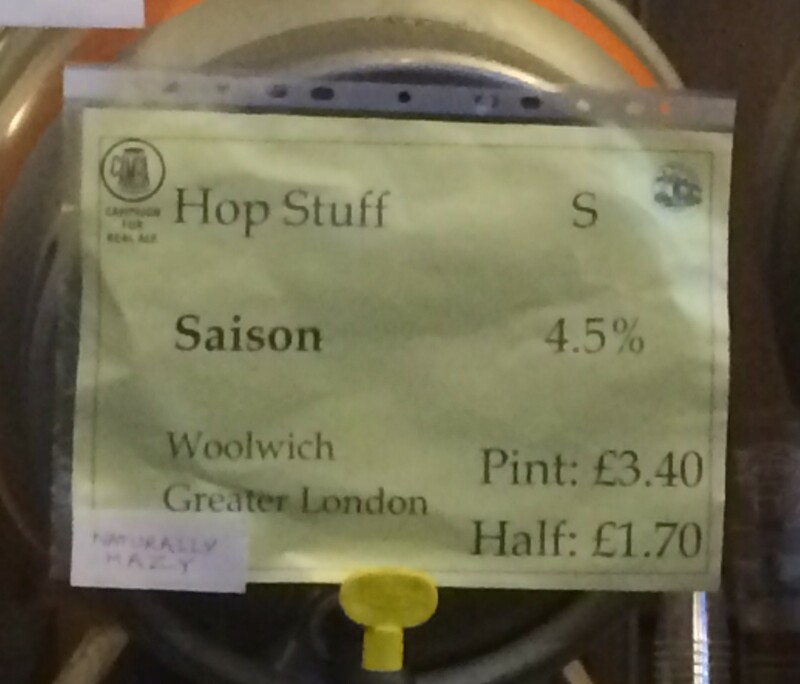 Imagine also our delight at discovering Hop Stuff at the London Drinker festival in Camden. So why not Blackheath? We know the vocal minority don’t like outsiders coming to our village and expect much gnashing of teeth at the prospect of real ale drinkers running amok. This would be good for the village – we have great pubs and beer festivals attract a cross-section of the wider local community to an area they may not normally visit as well as people from further afield. Let’s show our support at Kidbrooke in May and work towards something bigger and better.